I have a close family friend whose parents divorced when she was young, and it was a tough experience for everyone to go through. Their world was turned upside down as she went from a full household to living with just her mom and seeing her dad a couple of times a week. Eventually, though, the pain started to heal, they all fell into a routine that worked for them, and the parents started thinking about dating again. While online dating has become one of the most popular ways to meet people, single moms and dads want to be careful when making their choice. This is why our experts did some extensive research and chose the top dating sites for single parents. More good news is they all provide the necessary features you need to find that special someone — without charging you anything! In terms of Match.com, it’s all about the numbers, numbers, numbers — specifically, over 30 million members, more than 13.5 million visitors a month, and billions of romantic connections. We listed Match among the best free dating sites for single parents because this is the service that can put you in front of the most compatible people, so you really don’t have to look anywhere else. You can also create a profile, add photos, search for and receive matches, and communicate in certain ways without having to give Match your credit card information. We could go on and on about why eHarmony is one of the best dating sites for single parents (that’s also free), but perhaps the most important reason is their dedication to serving commitment- and religious-minded daters. If this is you, then you’ve come to the right place. Something else worth noting is eHarmony uses a comprehensive personality questionnaire to deliver like-minded matches directly to you, so you don’t have to do any of the work. Education is often at the top of the list of dating preferences, and for those people who agree, there’s EliteSingles. With a focus on quality over quantity, we think this is a great dating website for single parents. Over 80% of users have a bachelor’s, master’s, and/or doctorate degree, over 165,000 new members join every month, and over 2,500 men and women find love on EliteSingles every month. For $0, EliteSingles will allow you to register, fill out your information, view profiles, flirt, and receive expert advice to make the online dating process as smooth as possible. Not only is OurTime one of our favorite free single parent dating websites, but it’s also a go-to for mature single parents — as it’s just for those who are 50 and older. You won’t have to spend any money to use OurTime, and all the tools you need to have a successful time are right at your fingertips. Another aspect of OurTime we love is their streamlined setup, which makes it easy for anyone, even those who aren’t that tech-savvy, to navigate the site and figure out how everything works. On SingleParentLove, a leading free dating website for single parents, you’re around people who can all understand you and where you’re at in life. Plus, there are only three steps you have to go through: 1) Make an account. 2) Browse thousands of members from all over the world. 3) Start a conversation. No muss, no fuss. 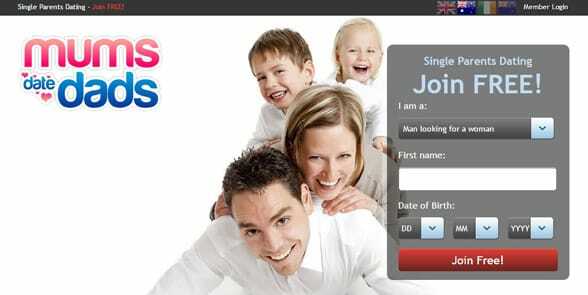 We’re halfway through our list of free online dating sites for single parents, and we’ve come to Just Single Parents. They say it all in their name — they’re exclusively for moms and dads who are raising their kids on their own. Just Single Parents knows how hard that can be, so they do everything they can to take any dating stresses off your shoulders. Mums Date Dads is a 100% free online dating site for single parents that is based in the United Kingdom. With a regular membership, users gain access to features such as basic and advanced search, virtual winks, and various forms of messaging. Mums Date Dads is a free single parents dating site that’s for men and women in England, Wales, Scotland, and Northern Ireland. There’s also a full membership available if you want to upgrade and don’t mind spending some money, but we’d say you’re good to go without it. One of the “hottest” dating websites for single parents, Local Single Moms takes online dating to the next level by offering the usual services as well as instant messaging, forums, video and audio chat rooms, and a newsfeed with your top matches. Every profile is also verified, so you can rest assured that everyone is who they say they are. SingleParentMatch has been in this industry for more than 16 years and says they’re the world’s first free dating site for fathers and mothers who are jumping back into the dating pool. Whether you’re looking for friends, casual dates, or a lifelong partner, you’ll be sure to find it. On SingleParentMatch, you’ll be surrounded by people who get you and your lifestyle. Single Parent Passions is a single parent dating website and social network, so there’s no pressure if you aren’t ready for romance yet. Share your interests and needs on your profile, view the Activity Stream to see what other users are up to, join chat groups, and send and receive emails — no wallet needed! With the slogan “where the best people click,” Click Single Parents has numerous impressive components. The site is completely free, has more than 853,000 members, and is desktop and mobile friendly. If you have a specific type, you’ll want to use the niche dating forums, which cover topics like black, over 60, and plus size dating. Single Parent Dating Sites: Putting You & Your Children’s Needs First! My friend’s parents were nervous about dating again — just like so many other divorcees are. But these online dating websites for single parents are just the thing they need to comfortably get back out there. Take your time looking through each site, choose wisely, and then take the leap. We know you won’t regret it!